Stacy Alexander, Shorecrest’s Director of Alumni and Community Engagement, was awarded the Distinguished Service Scholar scholarship for 2019 from the Council for Advancement and Support of Education (CASE) District III. Ms. Alexander was selected from the entire pool of scholarship recipients to receive the Distinguished Service Scholar, which will provide funding for her attendance at the organization’s annual conference in Atlanta, Georgia, February 24-27, and a mentoring opportunity with a CASE professional. Alexander also received the Emerging Leaders Scholarship. CASE serves educational institutions and the advancement professionals who work on their behalf in alumni relations, communications, development, marketing and allied areas. CASE helps its members build stronger relationships with their alumni and donors, raise funds for campus projects, produce recruitment materials, market their institutions to prospective students, diversify the profession, and foster public support of education. Stacy Alexander joined the Shorecrest Advancement department in September 2018. 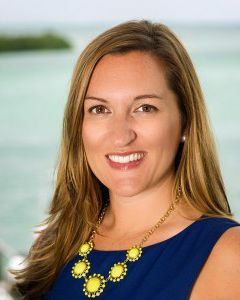 She previously served as the Assistant Vice President for Community Relations and Communications for Mote Marine Laboratory, a non-profit organization located in Sarasota. In that position she was responsible for the Lab’s community relations activities, its collaborative marketing and public relations campaigns, and the organization’s membership program.